Live Cash Games broadcasts are set to return. 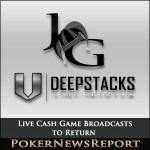 DeepStacks and Joker Gaming announced the “Live at the …” online broadcasts using RFID technology will debut in 2014. 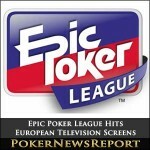 The Epic Poker League (EPL) organisers are reportedly negotiating the sale of the series, but what is certain is poker fans throughout Europe now have the chance to watch the action on television. 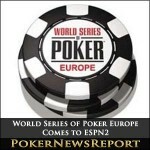 Good news for all you poker fans in the USA, highlights from this year’s World Series of Poker Europe (WSOPE) will be aired on ESPN2 this Sunday. 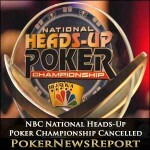 In yet another casualty in the world of poker, NBC has announced plans to cancel its National Heads-Up Championship in 2012. American cable television network ESPN’s live broadcasting of this summer’s World Series of Poker (WSOP) has, not unexpectedly, proved to be a massive hit with poker fans. American cable television network ESPN’s seven-day trial allowing the online audience of the World Series of Poker (WSOP)’s $10,000 No-Limit Hold’em Championship main event to view entrants’ hole cards on a 30-minute delay was created to prevent cheating. Much has recently been made of the concerns of many within the poker industry that television coverage of the world’s favourite game might suffer following the damaging events of ‘Black Friday’. 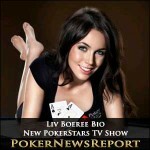 PokerStars brings 2 new shows, Big Game II and Poker’s Million Dollar Girl, a Liv Boeree Biography.